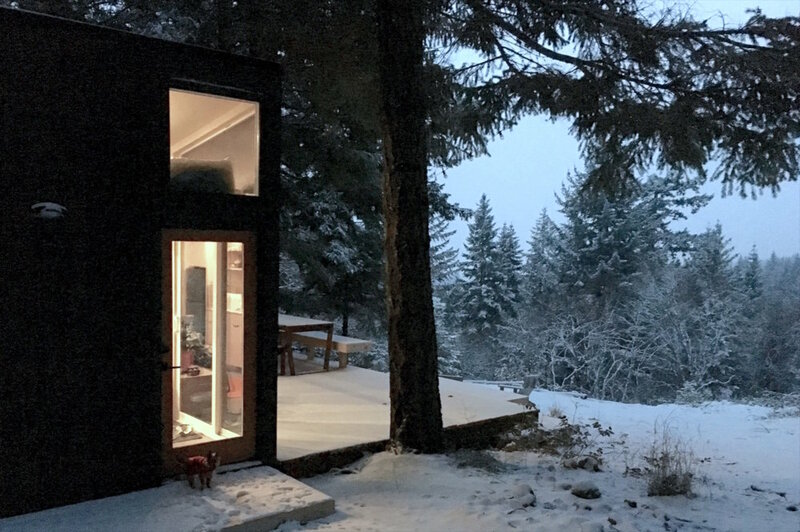 Tiny house in White Salmon, wa. 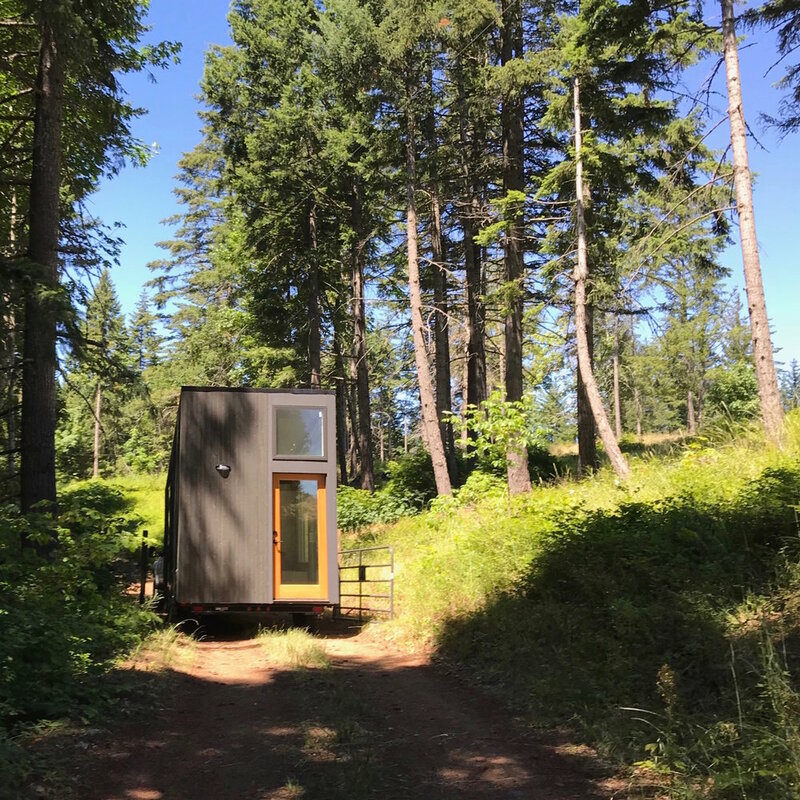 Nestled on a wooded 5-acre parcel just north of White Salmon, Wa., this Tiny House on Wheels (THOW) soaks up the southern sun and frames a magnificent view of Mt. Hood. 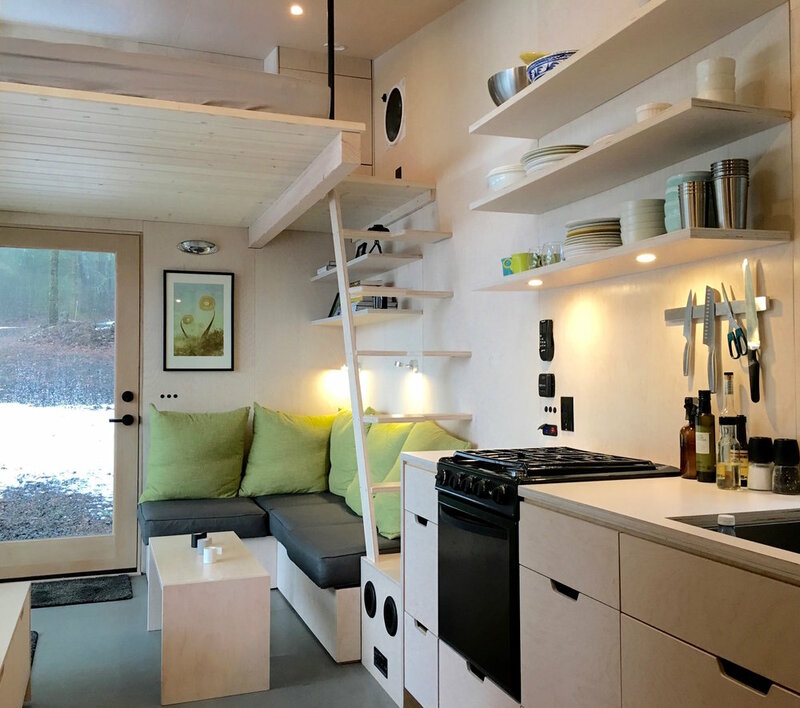 Completely off-grid and powered by the sun and propane, this glamping cabin sleeps 4 and has a full kitchen and bathroom. The window wall entices you to nature where outdoor living spaces beckon afternoon naps.